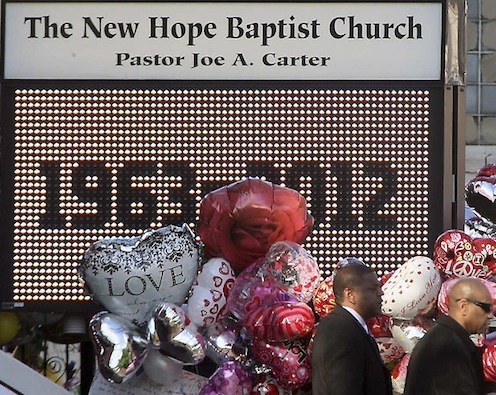 Though fans were kept from flooding the singer’s childhood New Hope Baptist church, one played “I Have Nothing” on saxophone outside in all black while others mourned and huddled around a radio. Bobby Brown may have created the only rift when he brought an entourage of nine people and left early after not being able to sit with all of them. He did, however, touch the casket in a moment of grief.